Kolkata, March 20: Despite losing the home ODI series 2-3 to Australia, the Virat Kohli-led Team India is considered the favourites for the upcoming World Cup. However, chinaman bowler Kuldeep Yadav believes two other teams also have the capability to shine in the showpiece event, starting May 30 in England and Wales. 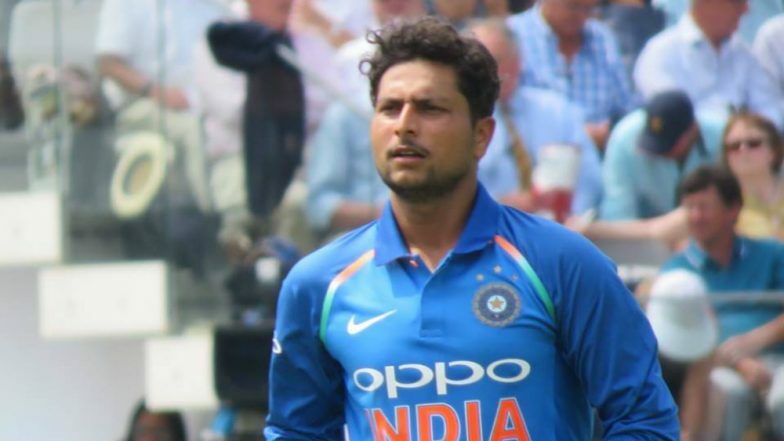 Kuldeep has said that India have a chance to clinch the trophy but should be aware of England and Pakistan as the two teams which also have some quality players in their side. The spinner also felt that playing in home conditions will be an advantage for England. ICC Cricket World Cup 2019 Tickets Online: Fans Can Again Book Match Tickets on March 21.